Are you headed to SHOT Show 2017? Do you need proven tools and technologies for gun maintenance and cleaning? 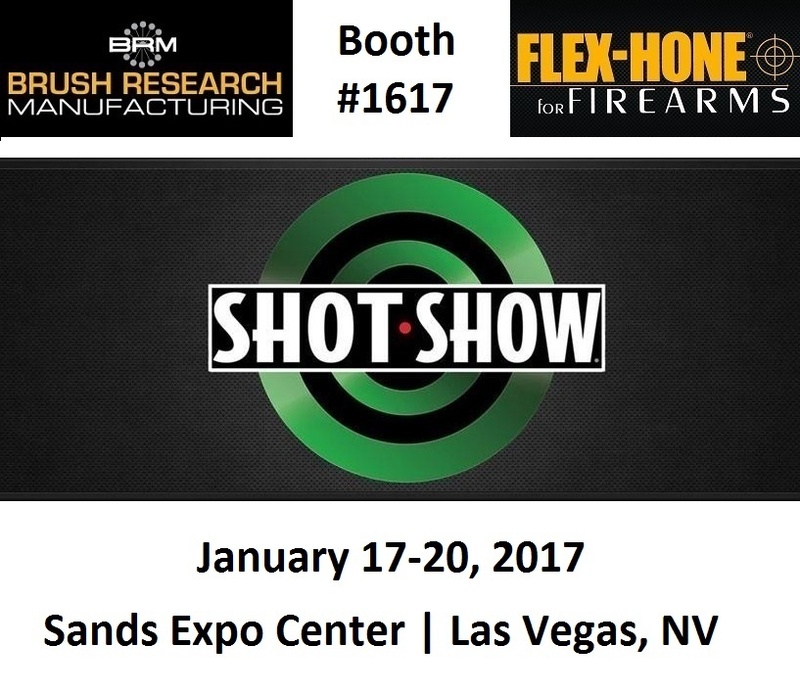 Then visit Brush Research Manufacturing (BRM) in Booth #1617 from January 17 to 20 at the Sands Expo in Las Vegas, Nevada. When you visit the BRM booth at SHOT Show 2017, you'll find Flex-Hone for Firearms tools that impart the optimum surface finish to any type or size cylinder, chamber, slide, magazine, or smoothbore barrel. These Made in USA gun tools are available for pistols, revolvers, rifle chambers, smoothbore shotguns, and even paintball guns. SHOT Show 2017 doesn't last long, so make the most of your time while you're there. Request a meeting with BRM and plan to find the gun tools you need.